Dugpa: That is great news! Finally. I know fans have been eagerly awaiting this one. Previous to the Blue Velvet remix, you had done a 5.1 remix of Twin Peak: Fire Walk With Me for New Line. Can you tell us what has changed, and how is it different from the original mix? John Neff: I mixed that in the summer of 2000. As in all of David’s pictures, nothing is allowed to drift too far from the original. We can make it rounder, deeper, louder, cleaner, you know, make it more responsive frequency wise, but we can’t introduce new tracks. So the mag elements were transferred to digital to conform to the picture and then it was remixed in 5.1 but from the original mix elements, not from the original raw elements. So all the treatments, reverbs, and everything else of the original mix, exist on the new mix. In stereo surrounds, I might add a little reverb that fits the character of the original, or I might bleed off a little of the left/right mix to put in the surrounds with a slight little bit of reverb and delay to deepen the room, but because David has a 10% rule on surrounds, they can’t be more than 10% the strength of the front. You’re never yanked out of the picture. Those things are very subtle, and if you soloed the surrounds you might say, ‘Hey, that doesn’t sound like the original. But the original had less frequency response, less level, and dry. No now it’s wider frequency response in the surrounds, maybe a little delayed or reverbed bleed off in the left/right main, just to fill it out and to fill you room a little better. Put you more in the scene, but they are minor enhancements. Creating the subwoofer track was the most fun. That’s where we had our fun. Dugpa: The original sound mix was a Stereo mix. Dugpa: So how were the stems assigned in 5.1? Dugpa: Then the dialogue track will only come from the center channel? John Neff: Well, I believe on Fire Walk With Me there might be some crowd or the nightclub scene in the surrounds, but it’s never a lot. There was no discreet dialogue put in the rear. I do like divergence on the dialogue where it’s a pyramid. Ninety-five, ninety-eight percent of it is straight up the middle, and just a few points are out in the left and the right, because if you are sitting off center, or if you have a center speaker this big, and the left and right speakers are this big, it will give a little more body to the sound of the dialogue. On Fire Walk With Me, I’m not sure how much divergence I managed to get into it. But on Blue Velvet, I had a certain amount in, and David heard it and said, ‘Nope’ dialogue straight up the center’ so I had to redo it and take the dialogue out of the left and the right. Elephant Man already had some divergence in the left and right stem that I had, so I had a new clean dialogue track, but it also exists on the sides, to a greater degree than David would like actually. But it can’t be dealt with any other way. So elephant man is spread wider than any other picture that we’ve done DVD’s for. Dugpa: I’ve talked to those at New Line who have actually heard the new audio mix, and they said it was just amazing. John Neff: Well, that’s great. Once again, we went full 24-bit, and we like to push the equipment to its limits. The room itself is a full theatrical studio, it’s a 22 foot wide, 11 foot high screen, with three-way huge JBL cinema sound behind it powered by 7300 watts of amplification, eight surround speakers, I mean it’s like the best theater you’ve ever heard… and two great big subwoofers. It’s all balanced and tuned. We mix music in that, make all our commercials in that, we make all the film soundtracks in that, even for DVD that may end up on as speakers this big sitting on top of your TV, and some satellites that are this big, you know, and maybe a couple of stereo speakers, oh well. Everybody get big center speakers. So a lot of information exists there. Fire Walk With Me was the first time I had ever done a 5.1 remix from a stereo original source. That was a challenge, and it was a lot of fun. John Neff: Hah! Politics’ Money’ Politics’ Money’ So David selected the scenes. You might know better than I, whether it was thirteen, fifteen, seventeen, nineteen scenes. I don’t remember. But it was something in the teens and it was an odd number of scenes that he wanted to finish and put on the DVD, and that he would be very happy to do that. However, they are not going to go in with just the mag sound. They are going to go in as full mixes. Just as if they were done when the picture was done. That budget is about half of what it takes to mix a feature film… and that’s being reasonable. That’s with us cutting it right to the bone, and David essentially not getting paid. He directed it, but doesn’t own it. So he’s not getting paid. The studio makes the money, but he won’t get a dime for doing this, and it will take a month, maybe more. It will cost at least $100,000 in a commercial mixing studio to do this. We’re less. I’m not going to say how much less. So, we made a budget’ we made two budgets. The first one scared the hell out of them. Apparently there is French Company that co-owns the picture. New Line said ‘Fine, you guys need to pony up. You have to participate in this’ Apparently they haggled back and forth for many months. About the time that we went back into production for Mulholland Drive they said ‘ok. Fine, let’s do it.’ We said, ‘Sorry, we’re busy.’ We’ve been booked ever since. Now, I do not know if a deal has been made to mix those scenes. I mean they would have to book it through me in the studio, and nobody’s done that. Dave is so concerned with getting on the net, that at least up though October, he’s not gonna let them in the studio, because, we’re swamped, we’re behind’ we lost 6 months doing Mulholland Drive on getting on the net. So he’s going to get on the net and get backup content produced before he even considers doing those scenes. Just because he’s too busy and he has his own money committed to the Internet site. I’m sure this will come up for discussion this Fall. Essentially, we had a window of opportunity last year, right after the 5.1 mix of the DVD in which we could have done it. We located all the negative, Eli made logs of everything, and we were ready to go. You say jump, we hop. They stalled for months and months and months. We got busy on other things. I don’t think they intentionally stalled, and there was no thing where they were trying to gyp anybody or anything. It’s just a ton of money. New Line didn’t want to spend it by themselves, and have these other people reap the benefits. I don’t know. You’d have to ask them. They had to collaborate with the other owner of that thing, and it went back and forth between them for an awful long time, and we said, ‘Hey, what’s going on with this’? ‘We don’t have an answer’ we don’t have an answer yet’ Well, when they had an answer’ I don’t know if they made a final deal, but I think they either did, or they got real close to it. Then they came back to us and said, ‘Ok, when could we mix?’, and we said ‘Sorry, we’re in the middle of Mulholland Drive now’. Which lasted until April of his year. We had to go right into the net stuff to get this thing on the air. I’m ready to mix it, but we need schedule and money. Dugpa: At one point I had heard that they were going to release the DVD without the Deleted Scenes. When word of this hit the net, thousands of fans sent emails, and to this day are still sending emails in support, letting New Line know that they want to see those scenes. John Neff: Good. I wished that had happened when the whole budget baloney had happened. If that pressure had been put on, maybe the other partner would have ponnied up sooner. David would like to see those scenes involved too. There are a couple of beautiful scenes with Jack Nance, who as we all know has passed away, and Jack was cut out of the movie. I’ve seen outtakes, I mean I’ve seen just the picture and dailies of a couple of Jack and they are just great. So I’d really like to see that happen too. Partly out of respect for Jack, and his scenes should be involved in the definitive DVD picture. Dave doesn’t own the thing. That’s the problem with all this. He doesn’t own his own pictures. So other people are in charge of the money, an other people are in charge of the schedule, and other people are in charge of what goes in the thing. It’s very frustrating to David. Dugpa: On other question concerning Deleted Scenes for this movie was in 1997’s Lynch on Lynch, David mentions being interested in one day releasing an extended cut of Fire Walk With Me, however, only recently has he decided to release the Deleted Scenes as self contained shots, separate from the original film. Why do you think he changed his mind on this? John Neff: I can’t speak for him, and he’s never told me why, but he has spoken to me numerous times about when a film is done, and what comprises a complete story. So I can only retell that story. You shoot many things, you think it’s all going to be wonderful, you think it’s all going to be in the movie, you start cutting it, and then, things just don’t work. Or they get in the way of the flow of the story. Here you thought it would be such a beautiful thing to explain something or go off in another direction, and it ends up ruining your story. He says that every scene he cuts is a painful thing. You’re taking out something that you worked so hard on. But I’ve heard people ask him about the ‘directors cut’ of Dune, of course that’s a bad subject for him to ever discuss, but his basic theory is that when the film is done, what you see in the theater is the director’s cut. That’s the story. So these other scenes would do justice to certain things that were created for this film, but they didn’t work within the film. I’ve heard him say that it has to be kept separate, and it cannot be cut in. He.. I don’t know if he has seen the reinserted scenes in Apocalypse Now, but we were in Cannes together for Mulholland Drive, and this is no offense to Mr. Coppola, but David said it just saddens him, to see the original film altered like that. When you’re done with the picture, you’re done with the picture. That’s it. So he may have wanted to see the scenes cut back in at one point, but today he says, “That’s the picture” At least that’s what he said to me. Dugpa: Very interesting. I hope things work out and we are able to finally see the Deleted Scenes from Twin Peaks: Fire Walk With Me. So lets talk about your upcoming CD with Lynch called ‘Blue Bob’. To start, where did the name, ‘Blue Bob’ come from? John Neff: I dropped it in passing one night. Well, Bob is a recurring character in a lot of David’s work, in his paintings, of course, in Twin Peaks, his music publishing company is Bobkind music’ there isn’t an official story, but sort of’ you’ve heard it now, it’s blues based, heavy rock. Bob is like this dark, sinister character that recurs in David’s work, so that’s all related. Dugpa: Who is doing vocals for this project? John Neff: That would be me. David does sound design on the vocals. In other words, there are some songs on this record, where I would sing through a megaphone, and only get multiple delayed repeats late in the headphones, as a deliberate attempt to screw me up. Now we split the instrument chores on these. David’s playing guitar on every one of these songs. So am I. He does some of the drums. I do some of the drums, and we’re both DW endorsing artists, and neither one of us is a drummer. But we manage. Sometimes I have to cut 14, 16 minutes of stuff to get 2 or 3 minutes of usable stuff. But anyways, it’s fun, and DW has provided us with unbelievable killer drums. David’s kit has a couple more toms than this. He has one more floor tom than I do. I’ve got a 15″, Dave has a 14 and a 16″. He’s got a metal and solid one-ply maple snare. I’ve got two different size wooden snares. I like the wooden snares better for my own uses. I’m a Zildijian endorser also, and I’ve got cymbals from them, and he’s got some Italian cymbals from Ufip, which are actually pretty nice cymbals. Although he doesn’t like cymbals all that much, on the first song of the record he played the drums on it. I offered to cut in a high hat or something, but he said, ‘no, it’s good the way it is’, so there’s no cymbals on this. It’s the lead song on the record. 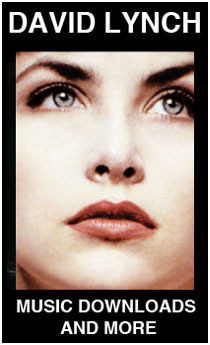 Laura Harring will be in video. That’s probably our radio friendly song. Is this boring you? Dugpa: Oh, not at all..
John Neff: Now, all of the drums on the record are not drums. Sometimes we would go around and smack things, and use.. There’s no midi on this. We played everything live. But we did make looped patterns out of some of the drums. Some of it is machines, in one instance, the kick drum is David’s palm smacking against a great big art crate. The snare is him hitting a metal roll-up door with a 2×4, and the high hat is him hitting one of my anvil cases with a stick. And we just turned it into drums. Dugpa: So no use of midi..
John Neff: We’re not big midi fans. We don’t sequence. We don’t record in midi. We’ve got a pretty big setup. The huge orchestral and choral things you hear in Blue Bob are coming off my guitar. I’ve got a rig that I call the Guitarkestra. It’s a whole big mass of midi modules and I’ve got a guitar synth driver on a Martin solid-body electric. So that goes down on the track in real time. So it’s not sequenced or played off the keyboard. Dugpa: So can you tell us about what some of the songs are about? One day, David asked me, (and I’ve been married numerous times), ‘What have you lost in your divorces?’ So I started naming things. And it led to the song ‘Thank You Judge’, which is also our first video. That’s what we do in our spare time. Spent a couple of years on this project. Dugpa: Are there any plans of a live performance with Blue Bob? John Neff: <laughter> David’s scared to death of that one. We’ve talked about it. Because we play every instrument on the thing, and we played it all live, there’s no sequencing, though we cut out mistakes, we would have to hire and rehearse other musicians. But we’ve talked about it, and every once in a while, he goes ‘So, what’s it like being on the road?’ So, we’ve kicked the idea around, there’s no firm plans, but it’s definitely being thought of. We’d have to hire other people to play the parts we can’t play at the same time. Dugpa: So does David do any vocals on the album? John Neff: It’s just me on vocals except in ‘Thank You Judge’, he does the character. There’s three vignettes, three different scenes, besides the song. And he’s this character called Billy Groper that sort of goes into the situation. I think Billy is going to become a recurring character. There will be a video of Thank You Judge. And you’ll see Dave play too. Dugpa: And will these videos be exclusive to David Lynch.com ? John Neff: This one, actually, I’ve spoken to someone at MTV about. We don’t actually know. It’s always up to them, but we’ll supply them with one. We’re going to make a total of three (videos) from this record. Dugpa: Who writes the lyrics for Blue Bob? John Neff: David. It’s all his lyrics. Dugpa: Besides Blue Bob, can you tell us what other type of music will be offered from David Lynch.com? John Neff: We don’t have anyone signed. We are speaking about producing some other artists, and putting them out exclusively on his site. There will be CD’s for sale. Like the Blue Bob CD’ yes, we know that the day it’s released, it’s going to be ripped and MP3’ed.. <I Hate That> The package itself is going to be an enticement to own it. It’s an 8 by 8-inch box with a nice 16 or 20-page booklet of industrial photographs, photographs of us, photographs of the studio, all the lyrics and the CD. So, it’s a real nice setup. The Eraserhead DVD is the same, in an 8-inch by 8-inch box, as well as the Short Films. –>Dugpa: Tell us about the Short Films DVD release. John Neff: They are being cleaned as we speak. Dugpa: Which Short Films will be included on this DVD release ? John Neff: Six Men Getting Sick, The Alphabet, The Grandmother, The Amputee, “Premonitions Following an Evil Deed” from Lumiere and Company, and The Cowboy and The Frenchman. Dugpa: Will they have new sound mixes? John Neff: No. On his very first film, ‘Six Men Getting Sick’, that was a less than 1 minute, 16mm loop. This was long before the days of video installations. This was the same sort of thing. He had a sculpted screen with some of the faces on the screen. The film projected on it, and it just looped and went over and over with a klaxon siren going on in the background. What we’ve done is taken the 16mm film, and looped it a number of times, and also recorded a klaxon siren like the type that he used. So that will be on the DVD, as the soundtrack, and a multi-loop of that for that film. But it only ever was an installed thing that looped and looped forever. And only the original 16mm exists, so it’s got projector scratches, but it is literally the one that was used in the showing back in Philadelphia in the 60’s I guess. The other films, The Grandmother, The Alphabet’ the visuals are being cleaned up to a degree, I’ll clean up the audio to a degree, but nothing is going to be remixed or augmented. They will be representative of what those films were. And all the short films will be on one DVD. Dugpa: That sounds great. Tell me, on David Lynch.com, does David plan on releasing some of the songs from his various films that have been previously unreleased? For instance, many fans have been desperately waiting to hear many of the Lynch/Badalamenti tracks that were never released from the entire Twin Peaks Second Season Soundtrack. John Neff: Well, you got to figure; he doesn’t own the rights to that. Someone else owns Twin Peaks. Because of that, properties that are owned by other people won’t be on the site. There is talk about a re-released Eraserhead soundtrack CD, although we have not made it yet. We are gathering the materials and seeing if it’s usable, and doable. He would like to license, I think, some of the things that have been in his projects, but the cost of putting a project like that together is just huge, so there is no specific word on that yet. Dugpa: Perhaps David and Angelo could license out and release a compilation of their unreleased music pieces. I know those would sell extremely well. John Neff: Well, that would be a good idea. I’ll pass that on. That hasn’t been discussed that I know of. Additional music CD’s would be a good idea in my opinion. Say there’s stuff from Lost Highway, or there’s stuff from other movies that didn’t make it on the official soundtrack CD. To release that, I think it would be terrific. David and Angelo have also done a number of cool jazzy things that they’ve named ‘the Thought Gang’, and we’re discussing putting that out. There are other people involved that need to be taken care of on it. So that’s all in negotiation. That might show up. We would like to do something with Industrial Symphony too. Dugpa: That would be great! John Neff: That is also owned by somebody else. So negotiations are going on, and nothing is complete yet. Dugpa: Speaking of Industrial Symphony, do you know if David has any plans to work again with Julee Cruise? John Neff: No. That’s a chapter that’s come and gone, that I know of’ I know that Angelo has seen her in the last few years, but they did not discuss working together again. John Neff: I don’t know. That’s before my time. I think that the stuff they were working on, the Industrial Symphony, her albums, and the work that was in the Twin Peaks stuff, once that was over with.. I mean that was the focus of their work, they did it, they completed it, they put it out. I don’t really know what Julee is doing these days. Dugpa: Last I heard she has been on tour recently. And that some of the songs that she did for Twin Peaks, she has remixed and performs techno versions of them. John Neff: Well, good for her. That’s great to hear. We did some techno remixes of Jocelyn’s stuff that was never released. Dugpa: Wow. That would be really great to hear. Are there any plans to release that in the future? John Neff: That would be up to Mammoth Records. They own it. Dugpa: So speaking of Jocelyn, are there any plans do another album with her? John Neff: I don’t think so. This was focused on the Hildegard von Bingen material, which Jocelyn was very educated in, and sang very well. It was put together by a German woman, Heidrun Roesheft, who had worked with David on other projects and was friends with Jocelyn and her husband. I think that was a one shot deal. John Neff: Well, isn’t that surprising? Dugpa: I was wondering if there were any plans to release that song that you knew of. John Neff: Well, now, see, I’m not familiar with that. I’ve not seen ‘Pretty as a Picture’. I claim ignorance on that. Jocelyn is married to Monty Montgomery, who by the way is in the new movie. He and David go way back on many projects. I knew that David knew Jocelyn a long time ago, but I was unaware that they had done something previously to the record that we did. John Neff: See, I didn’t even hear the interview because I was working. That’s the hard part. You continue making new stuff, and once you put something out, it comes and it goes, and you move on to something new. Dugpa: Tell me, what participation, if any does Lynch have with the Foreign releases of his movies on DVD? John Neff: None whatsoever. If people want his participation, he’s happy to do it because the work has his name on it. Most of the US companies that own the rights to his pictures have come to him and asked for his participation in either as simple as re-timing the picture to the case of these last few where we literally remixed them. Dugpa: What about the upcoming Lost Highway DVD from USA films? Do you have any information on when it might be released? Were you able to remix that one in 5.1 as well? John Neff: It already has a 5.1 soundtrack that was done by John Ross at DS & P, so I don’t have anything to do with that one whatsoever. David though has worked with them on the timing of the DVD, and that one should be coming out pretty soon I believe. Dugpa: We’ve been waiting for that one as well. John Neff: Well, he worked on the timing a year ago. So what has been going on in the meantime’ I don’t understand why these people are holding them. John Neff: Well, David’s movies don’t sell a whole lot of tickets in the theaters. Please go see Mulholland Drive in the theater! But I don’t know why somebody would hold it for release, unless to grab onto some of the press. This picture is creating quite a stir. Reviewers like it. We have not heard a negative thing about it yet. Knock on wood. This could really be something for him, and I hope it is. You know, he doesn’t make a picture with the box office in mind. Sorry, Dave, I’m not trying to step on your territory. He makes a picture to tell a story, and to make it as artistically wonderful as it can be. And then off it goes to the business people who then have to deal with it. He wishes more people would see his movies in theaters, so then he gets to make more of them. Dugpa: I must say that seeing a David Lynch film in an actual theater is always a very great experience. Dugpa: However, once it’s gone from the theater, I have to say that DVD is really the closest you are gonna get. John Neff: It is. Unfortunately, the heavy compression of both the video and audio on DVD still don’t do a movie justice. It’s better than VHS. The sound obviously is a lot better because it’s in 5.1, but the theater is the place to see it. Like the Straight Story, the mix was made for the theater, and heavily compromised for VHS. So the way to see it is in the theater. Dugpa: How did that come about? Was the song written specifically for the Straight Story? John Neff: No. When David was cutting the picture, he wanted some Americana type of music to cut some scenes to. There was nothing, and I think at that point, there was nothing even written. Angelo came to the studio in November and December of 1998 to do thematic ideas on the synthesizer with David. They worked together on the theme end of things. He was already cutting, and I had this album that I had made for a tremendous guitarist/songwriter that lives in Maui named Middle John. He had once been with a group of ex-Grateful Deaders called ‘the Ghosts’. He was a really talented guy. So this is an album we did in our old Maui studio with some friends of ours. It came out really nice. ‘The Most Requested Song’ was a vocal arrangement, and all of the songs on this album are really story songs, in fact, this is a real twisted country folk album. Eleven people die in the course of the songs of the record. There is a Western epic song on it called “Cold Nevada Skies”. ‘The Most Requested Song’ was a regular ‘story song’. We lifted the guitars and strings from it, and used it in the bar scene when they are talking about the war. There was a bunch of other songs that we lifted from the record, finger picking guitar and things like that so that David could cut with a feel of this type of music before Angelo had written the score. And even though Angelo wrote and recorded.. (We recorded the Straight Story right in the studio if you could picture that), this particular thing just fit in that bar scene so much that he wanted to keep it. It was much to mine and Middle John’s surprise. Dugpa: It was however, not released on the soundtrack. Why was that? John Neff: No it wasn’t, because the soundtrack was a deal for Angelo’s music. Dugpa: Is there anywhere that people can pick this song up? John Neff: Not currently. We made the record in 1988. It was on my label, Maui Zone Records and Tapes. It doesn’t exist anymore. If there was interest, I could probably press a few. This has been long out of print, but I’ve got the master. We should do something with it. It’s an interesting record. Very interesting guy. Our last band was called ‘Argentina Turner’. Dugpa: So tell us a little about recording the Soundtrack to the Straight Story. John Neff: In Asymmetrical Studio, we put a 14-piece string section between the screen and the console. Angelo stood on one of my anvil cases and conducted, over by the 24-track, and we had the guitarists in the three other iso rooms. The guitarist, George Deering, and these other guys; just knocked it out of the park. They did one heck of a job. And that entire album was recorded in one massive twelve-hour session. We did it in one day. Dugpa: Wow. That’s just amazing. The Straight Story soundtrack is on of my favorites of all of the Lynch/Badalamenti scores. However, it is probably the one score that you can single out as being the most different from Lynch’s previous scoring work with Badalamenti. John Neff: There’s parts of it’ I’m a big fan of Aaron Copeland, and George Gershwin, and funny enough, I hear both of them in the themes that Angelo wrote for that. Now, Angelo doesn’t cop to that, and I don’t know if I’ve ever told him that, but my personal impression, I hear that real Americana-like folk with a touch of Jazz blended into an orchestral recording. We were in the Lancaster hotel in Paris right before we went to Cannes for the Festival this year, and in the restaurant in the hotel, this is a killer small hotel just off the Champs Elysses. We’re in the dining room having dinner, and the soundtrack for the Straight Story is being played. I accused the bar and restaurant managers of popping it in there because David and the fellow that had produced the film, Alain Sarde were in there dining. They said, ‘No, it’s one of only two CD’s we play here because it has that dreamy, ethereal quality’, and they play it year round there. I thought that was a pretty nice thing to say. That was also recorded very cleanly. On the guitars, I used no EQ, and no compression, they were just carefully miced and taken into Protools. Dugpa: So what is it like working with Angelo Badalamenti? John Neff: Angelo’s a good guy. He’s an old school composer in that he scores stuff out, and then they play it and there it is. My job is to just capture it as best I can. But then Dave gets in there and works with him, and wants to work the orchestra a bit, so it’s a real give and take ebon flow thing with Dave and Angelo. Truthfully, I’ve only worked with Angelo three or four times. The first time was probably the Opium commercial that we did in the Fall, or early Winter of 98, and then the Straight Story, and the temp score for Mulholland Drive, and then the Mulholland Drive feature which we just finished. Dugpa: Offhand, do you know what type of keyboard Angelo uses ? John Neff: The Korg 01W Pro. The 76-key with a floppy disk drive. Dave’s got one, and Angelo’s got one’ they both match each other. That’s what Walter and Donald used to do. They have matching setups. Dugpa: In your opinion, what is the most outrageous thing you have had to do in the studio to obtain a desired result ? John Neff: In ‘Bad Night’ on the Blue Bob CD, the high hat didn’t have enough edge to it, so we put a contact mic in it. So it sounded like sandpaper as well as the thing’ So there’s that, there’s radical pitch shifting, there’s metal scraped in Mulholland Drive that are six octaves down. Now you think about what that does to the sound. Reversing things, putting infinite reverb on things, and then modulating the reverb. Dugpa: Well, I just wanted to say thank you for doing this interview today. I think that it is definitely a very exciting time to be a Lynch fans these day. With the release of Mulholland Drive, and now finally, David Lynch.com, THE place where we will be able to get all the up to the minute information from the man himself’no more rumors or hearsay. I look forward to the months ahead. John Neff: Let me say something, that I think David wouldn’t mind. David knows that his fanbase is highly technically oriented. He is appreciative of how active people have been on the web keeping interest in his stuff alive. He knows it is an important thing, and he’s appreciative of it. So thanks’ to all you webbies.